It was non-stop action from the time I rolled into the airport after midnight on Friday until I had to drag myself away the following Thursday. 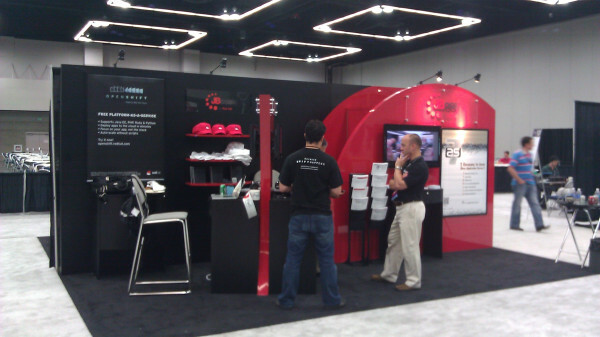 This post will focus on the OSCON side of the action. The tiger is on the prowl! If there was ever a time I wanted to be at multiple places at once (or be able to fork myself), this was it. 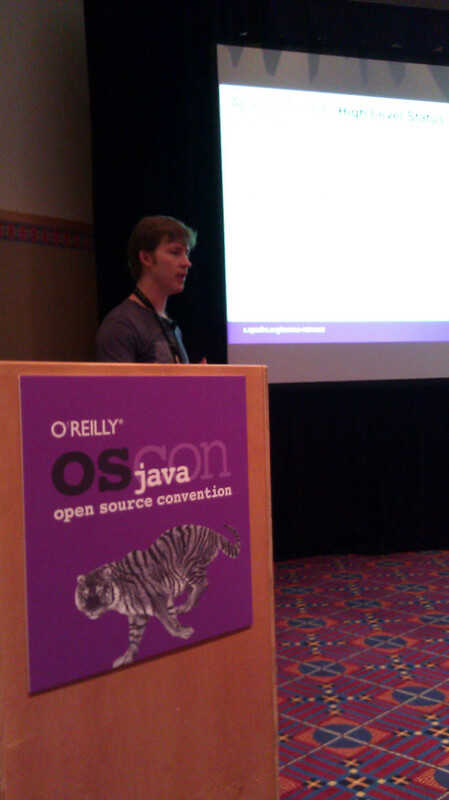 OSCON 2011 blended my three main technology passions together under one roof: Open Source, Linux and Java. It was geek overload! This was also the inaugural year for Java, a coming out party of sorts. 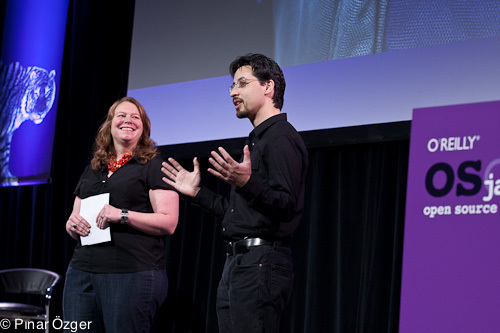 (Find out why Java finally got invited to the OSCON family in this video interview). O'Reilly did an amazing job of preserving the conference in photos (see the OSCON 2011 Flickr photostream) and videos (see the OSCON 2011 YouTube playlist). I can honestly say that I didn't miss a single keynote, even though I could never manage to scrape myself out of bed early enough to catch one of them live. A major focus of this conference, and for me personally, was the state of the union on JCP transparency (or, in other words, the progress on the "Is Java Open?" 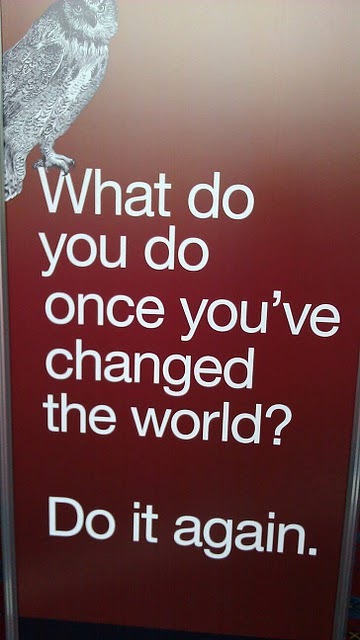 question). There were keynotes, sessions and one (rather provocative) panel scheduled to conjour up the straight answers. The panel, titled "Java Standards Annoyances", delivered a very clear message that fear and paranoia is running rampant and needs to be addressed. "Oracle is evil!! Java and open source are doomed! The standards body is a zombie! .NET is going to eat our lunch. Larry’s planning on turning you into pet food for his Velociraptors!" The panel turned out to be remarkably amicable, making its abstract and the "No punching" rule seem almost absurd. It turns out, that was the outcome the organizers from the London JUG, the newly elected community representatives to the JCP Executive Committee, anticipated. They wanted to make clear their commitment to reforming the JCP and making it accessible to Java developers. They did it with action, by bringing both sides to the table. In the end, Patrick Curran, chair of the JCP, acknowledged that many disputes were over an "old way of thinking" and invited everyone to participate in JSR-348 (i.e., JCP.next) to advance towards a new version of the process. You can find a more thorough recap of the panel in this JavaWorld article. Curious what it means for a JUG to hold a seat on the JCP EC? About what reform they are planning? Check out the acceptance statement written by the London JUG, JCP reform and what it means for the Java developer. Oracle certainly made significant strides at OSCON 2011 towards "cracking the code" in regards to their Java strategy and commitment to openness. I encourage you to watch the videos to get the story first hand. You'll likely agree that we are headed in the right direction, but there is still a gap to be closed. 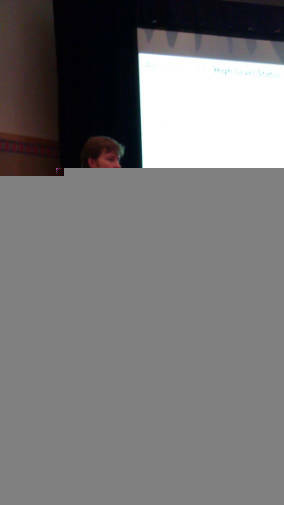 For more detailed statements, see this write-up of Oracle's Vision of Java that was presented by Steven Harris. For an interesting comparison to the JCP, see the article "Linux Standard Base and Its Role in the Community" from the August 2011 issue of Linux Journal. The LSB provides a standardized and tested common set of interfaces for ISVs to target. In essence, LSB is to Linux what the JCP is to Java, except that LSB is an independent workgroup and the test suites are entirely open and automated. There were corresponding sessions for each of these keynotes, but those videos are not yet available. To present a counter argument, Bob Lee asks the tough question in his keynote "Is Java open?" (skip to 9:30). He states his opinion, one shared by many community members, that it's open when the JCP is not controlled by a single entity. Perhaps you are wondering, why does it matter that Java and the platform standards are open? Members of the audience in David Blevins' presentation on TomEE learned pretty quickly. TomEE is an aspiring Java EE 6 Web Profile implementation built on Tomcat. David is working very hard on getting all the tests to pass. How far along is he? He's not allowed to say. Those are the rules. How many tests are there? He's not allowed to say. Those are the rules. How is he running the tests? He can't show you. Those are the rules. Can you help him pass the tests? Not unless you sign your name in blood with his. Those are the rules. You see the problem? Transparency is so important, especially for tests. After all, what good are tests if you can't show people that they pass? Would you believe me if I told you they do? Fortunately, David can report how many CDI tests TomEE passes. Why? Because the CDI TCK (test suite) is released under the Apache License, Version 2 (an open license). That means he can share his progress and get community input. That's how we believe all test suites in the JCP should be. I'm planning on doing an article on the topic which should serve as a more useful tutorial for those of you following along from home. I thoroughly enjoyed my week at OSCON. I agree with Steven's point in that I felt we were able to make a positive impact on the Java community. Looking back on the photos and videos, I wish I could have caught a few more sessions, booths and parties. But there's always next year, right? I can at least say that I did make it to the Red Hat booth, eventually! I can hardly have any regrets since I met so many new people, established new friendships and strengthened existing ones. One of the best pieces of feedback I received was that JBoss has become a much better citizen of the Java community. That's a company I can be proud to represent! 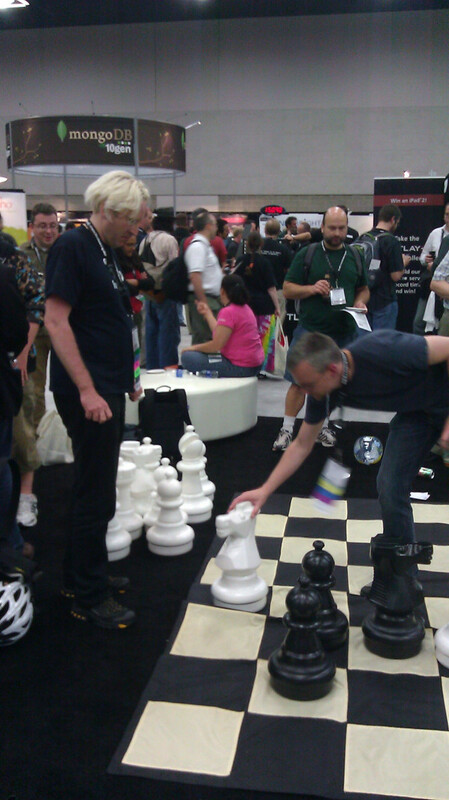 I'll leave you with a picture of my new friends at the London JUG in the thick of the strategy of a giant chess match.